"North Capital Investment Technology (NCIT) was founded earlier this year to 'disrupt the private placement market' in the new private offerings environment created by the JOBS Act," said NCPS founder and Managing Director Jim Dowd. 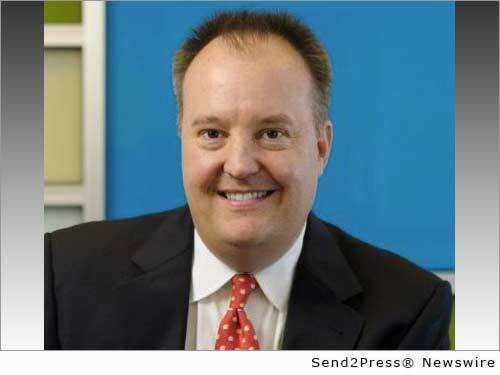 SALT LAKE CITY, Utah, Dec. 3, 2014 (SEND2PRESS NEWSWIRE) — North Capital Investment Technology has closed its seed funding round of $1 million, attracting support from major institutional investors including JFO, Karlani Capital and Green Visor Capital. The funding enables the San Francisco-based private placement technology company to continue technology innovation, roll out proprietary funding platforms and hire staff to support its growing broker-dealer, North Capital Private Securities Corporation (NCPS). Green Visor Capital General Partner Michael Walsh said the private securities markets are in the early stages of a period of unprecedented change. General solicitation and crowdfunding will drive transparency and broader distribution, leading to a deeper and more liquid secondary market, he said. North Capital Investment Technology (NCIT) was founded earlier this year to “disrupt the private placement market” in the new private offerings environment created by the JOBS Act, said NCPS founder and Managing Director Jim Dowd. NCPS, the broker-dealer for over 20 funding portals, is preparing to launch innovative proprietary platforms in several vertical markets built upon the Transact API and Accredited.AM technology, Dowd said. The company is preparing to launch its new transaction technology to issuers and financial institutions. Its Software as a Service solution, TransactAPI, will facilitate the offering, transaction and settlement of private securities. TransactAPI is designed for seamless integration into websites to serve issuers, platforms, funds and broker-dealers so that it can expand access for investors and distribution for issuers. NCIT also recently launched a free verification service for accredited investors, Accredited.AM. The North Capital team has a combined three decades of experience in private placements. Before forming North Capital, Dowd was a senior managing director at Bear Stearns. He designed and launched the company’s HedgeSelect program, the first open-architecture technology platform for hedge fund investments. NCPS Managing Director Craig Goos was part of the HedgeSelect management team before moving to UBS Securities to run the alternative investments business. For more information, please visit https://www.norcapsecurities.com/. *PHOTO CAPTION: NCPS Managing Director Jim Dowd.